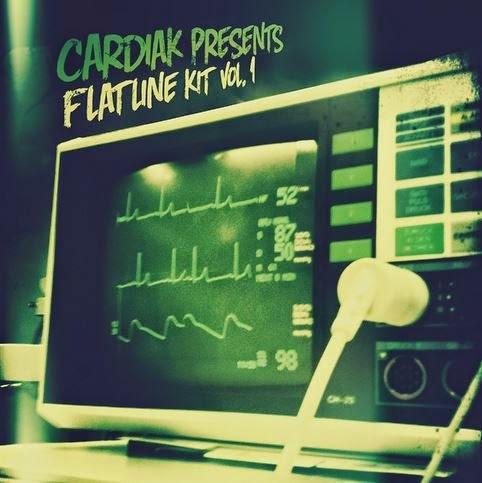 Fresh from the lab at HeartFelt Productions Platinum Producer Cardiak brings you the official "Flatline Kit Vol. 1". Well known in the production world for massive amounts of hits with the hardest drums and neck snapping snares, Cardi has given you gold. Cardiak's actually library of his own snares and claps are sure to have you pushing out bangers that slap hard in no time. This kit is a great selection of 808's that will quake your neighbor's neighbor and trademark stabs from some of your favorite tracks. Forget the rest, this is the official kit straight from Cardiak himself.